44 Mellow Colors formula booklet with swatches. Primitive color palette. Large 1"x3" double swatches on natural & oatmeal. 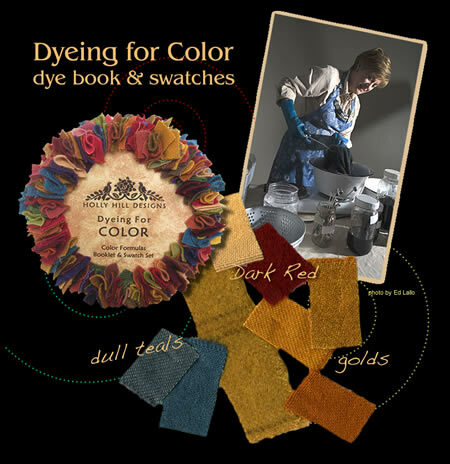 Uses standard ProChem dyes. 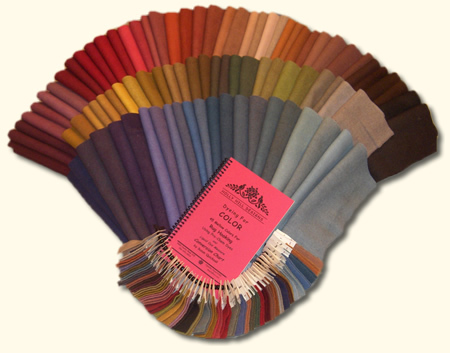 Try favorites like Tin Bin Blue, Indian Moon Gold, Keepsake Corsage, Aged Linen & more. Now includes easy "Dye Liquid Measure Conversion Chart" for dyeing any value on any amount of wool. Paper identity tabs on swatches. Spiral bound.